Hardware Sales And Repair - SysNet Solution Inc.
SysNet Solution laptop repair offers the best price, most experienced Certified Techs, and the highest rating in customer service satisfaction. Your personal systems expert from SysNet Solution will diagnose your equipment and tell you exactly what needs to be done to get it back to optimum performance. All repair work is complete! We give you your receipt, Service Warranty, and 100% Satisfaction Guarantee on all repairs! Replacement Of Any Hardware Parts, HDD, System Boards, Ram, Etc. Complete Reinstallation Of OS Systems. Backup & Restoration Of Business Personal Data. Recommendation list of best service and price to repair any issue. Reliable, secure and fast access to business applications and data is critical to the success of your business. If you are having trouble with server performance, accessibility (multiple offices, home or mobile access), or security (viruses, spam, spyware, unsuitable internet content), SysNet Solution can help you evaluate your current environment and recommend and implement effective, economical server solutions. We can also provide priority-response service to help get you back up and running whenever you have a network emergency. SysNet Solution provides comprehensive on site repair, maintenance, and carry-in depot services for printers, plotters and multifunction devices. We are the most affordable printer repair facility in the area. We cover virtually all printer and plotter brands for out-of-warranty repairs, including color and black & white laser jet printers, inkjets, line printers, dot matrix printers and multifunction printers. Black and White Plotter repairs. Black and White LaserJet repairs. Color and Black and White Inkjet repairs. Color and Black and White Multifunction repairs. Color and Black and White Dot Matrix repairs. High Speed Line Printer repairs. Our technicians will carefully inspect every aspect of any service while keeping downtime to a minimum. And if something isn’t right, we’ll make it right! We can wipe your Macbook Pro clean and start fresh or we can clone your current drive to a larger one. With a clean install we'll re-install your current operating system and do all the system updates. In the case of older computers, we can quickly diagnose your Mac’s issues and give you an affordable quote for repair so you can decide if it makes sense to repair it or move on to a new machine We believe in providing the best quality and offering reasonable prices. Out of warranty Apple repair & hardware upgrades. Apple Repair & Hardware Support For All Generations Of Apple Laptop & Desktop Equipment Including All MacBook Pro, PowerBooks, iBooks, iMacs, eMacs, G3's, G4's, and G5's, Any PowerMac, or Performa machines, iPods, iPhones & More. Peripheral Trouble-Shooting - i.e. Scanners, Printers, Cameras, iPod, iPhone. Mac OS 9 & OS X Installation, Troubleshooting, Cleanup, Re-installation. Mac-to-Mac & PC-to Mac Conversion Assistance. Software Support, Installation & Trouble-Shooting For All Apple Applications. SysNet Solution offers a large and varied set of product sales and services including a full range of hardware solutions from basic level PCs/Notebooks to high-end servers for the needs of Corporate, Small Businesses and Home customers. 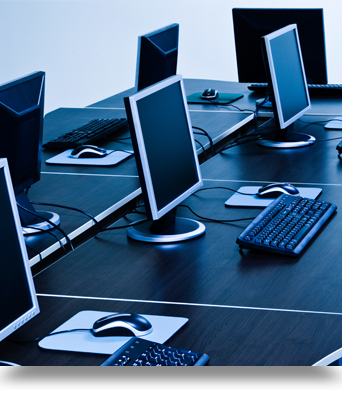 We provide both custom and leading manufacturer desktop computers, notebooks, servers, all network appliances, all desktop and security software options, as well as all computer accessories. Whether your current need is new, repair or replacement our staff of professionals is ready to assist you.